Want to add years to your life? The regrettable reality is over 75% of adults show signs of gum disease. There are many factors that play a role in this including; too much sugar and starch in our diets, smoking, poor oral hygiene and stress (just to name a few). There are many reasons to make a general dental appointment. If it has been a while since you’ve been to the dentist in Westminster, you should know Dr. Gary Imm is committed to total honesty. You deserve to know the truth about your dental health. We recommend that all of our patients begin some kind of regular hygiene routine. Left ignored, the symptoms of gingivitis can develop into periodontal disease. Periodontal disease can cause permanent damage to the bone and gums surrounding the roots or the teeth. It starts with plaque spreading and growing in the gum line. This plaque creates toxins which then irritate and inflame the gums. At this point, the bacteria penetrate the blood stream – endangering organs, tissue, vessels and potentially harms an unborn fetus. The bone and tissue that supports the teeth start to break down and lead to a multitude of complications. Are your gums as healthy as they should be? Did you know your overall physical health and dental health are linked? Recent studies have shown that certain types of gum disease reflect your overall health. Periodontal exam and treatments make sense for medically and at-risk patients. People who are medically at risk include those with diabetes, cardiovascular disease, pregnant women, and those taking medications that affect the gums (i.e. epileptics). If you have diabetes or take medications Dr. Imm will want to know about it. Some medications can affect your teeth and some can produce side effects. Dr. Imm can educate you and will consult with your physician if required. Routine exams include a thorough screening for any signs of oral cancer as well as blood pressure screenings. Staying healthy includes taking care of your mouth. Excellent oral care goes a long way in preventing and maintaining health-related problems. Your beautiful smile is an indicator of how you feel on both the inside and out! By contacting our office, you will be taking necessary steps in preventing problems and ensuring your oral health and overall health are a priority. You can almost hear your Mom’s words ringing in your head. “Brush and floss after every meal dear …” Well, we are just going to come out and say it. Your Mom was right! Taking care of your teeth and gums, and paying good attention to your oral health is the one thing you can do to ensure you have a healthy, gleaming smile. Excellent hygiene makes for healthy strong teeth and gums, so take a few minutes after each meal and take care of your teeth. We know that people who take care of their health live longer and have a better quality of life than those who don’t. This can be attributed to a balanced lifestyle and good nutrition. But one factor frequently overlooked by many people is the importance of our oral health and dental hygiene. If symptoms of dental disease are undiagnosed or ignored, it can have a detrimental effect on overall health. There are many ways in which poor oral health compromises the human body. The two main ones are gum (periodontal) disease and tooth decay. Gum disease is a painless disease which, if left untreated, can lead to tooth loss and can contribute to serious medical conditions. Contributes to respiratory disease – the oral cavity can act as a reservoir for respiratory pathogens. These pathogens have been found in plaque in deep periodontal pockets. Increases the risk of heart attack by 25% – people with advanced periodontitis had a 25% increased risk of coronary heart disease. Increases the risk of stroke by a factor of ten – toxins from bacteria can be associated with chronic infections associated with strokes. 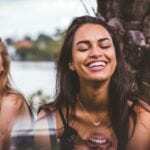 Increase severity of diabetes – it has been long known diabetes affects periodontal health, it has now been shown the reverse is also true; periodontal disease can affect diabetes. Severe periodontal disease can increase the risk of poor glycemic control. Within diabetics, it has shown those with good oral hygiene are less likely to suffer stroke, transient ischemic attack and angina or myocardial infarct. Contributes to low pre-term birth weights – studies have suggested 18% or all pre-term low birth weight cases may be attributable to periodontal disease. Severely stresses the immune system – the more serious the infection, the longer it lasts and the more the immune system is affected. The immune system can be so compromised its ability to fight infection and other degenerative diseases like cancer are seriously diminished. Take charge of your health – visit a dentist! Dental infections, especially long term periodontal disease and infected tooth roots can have a negative effect on the immune system to such an extent it jeopardizes medical treatment. Regular dental check-ups are good for not just your mouth, but your entire body’s health. The proof is in the studies, the facts and your own health. Contact us today and ensure you live a healthier tomorrow. We all brush our teeth because, well, that’s what we have always been told to do. When you have healthy teeth and gums, you have a more attractive smile. You can prevent throbbing and pain in your mouth. Your sensitivity to hot and cold won’t be as pronounced. Overall, you’ll have a better quality of life. There are numerous reasons you should make an appointment to see your dentist. If it has been a while since you’ve been to the dentist, and perhaps you are a little embarrassed – you should know we’re dedicated to absolute honesty. You deserve to know the truth about your health. The regrettable reality is over 75% of adults show signs of gum disease. It starts with plaque spreading and growing in the gum line. This plaque creates toxins which then irritate and inflame the gums. At this point, the bacteria penetrate into the blood stream – endangering organs, tissue, vessels and potentially harms an unborn fetus. The bone and tissue that supports the teeth start to break down and lead to a multitude of complications. Gingivitis can be reversed with good oral hygiene and appropriate treatment. A good dental hygiene routine is essential! Let sleep apnea dentist Dr. Gary Imm and his All Smiles Care team guide you along your journey and give you solutions to improve your smile and your overall health. Don’t leave your dental hygiene to chance. 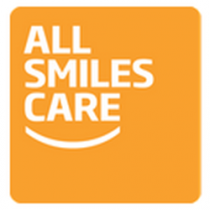 Come for a consultation and find out what All Smiles Care can do for you. Want to talk to the team at All Smiles?